Sub-Zero’s history starts all the way back In 1943 with a man named Westye F. Bakke. Mr. Bakke built the first ever freestanding freezer. Bakke was a clever businessman and he was able to survive well in the post war environment he lived in. Mr. Bakke founded the Company, Sub-Zero, shortly after building his first freezer. It was From those modest beginnings that they became the grand, multi-bilion dollar company we see today. Sub-Zero has made many innovations, each one targeted at meeting it’s customers needs. They even invented the built in fridge. From there, they kept refining the process over the next 60 years. They eventually split their creations into new lines of refrigerators. Sub-Zero continues to refine their technique to this day. The Sub-Zero guarantee is that every appliance is built in the USA, in Wisconsin and Arizona, using premium-quality materials that promote value and longevity. With a history like that, Sub-Zero is a name you can trust. 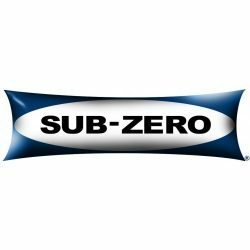 One half of the Sub-Zero & Wolf joint company, no points are awarded for guessing that Sub-Zero cut their teeth on food preservation, specifically regarding refrigeration and freezer units. What sets them apart from their contemporaries, however, is their pedigree; all of their lines feature a Dual Compressor system that they proudly declare is unique to their products, which carefully moderates the temperature throughout to prevent fluctuations, as well as the separate compressors working independently of one another, stopping the transference of odour and flavour. That alone is a pretty solid foundation to work from, but Sub-Zero aren’t content with settling for ‘just’ innovative; their Built-In and New Generation Integrated product lines feature an additional Air Compression system, that actively removes any harmful gasses or odours and purifies the air throughout. The system was initially designed for use in NASA’s various programs to aid in food preservation, and we here at Silke don’t think you can find a better advert for your wares then that! As the name of one of the product lines above shows, Sub-Zero’s speciality are Integrated Refrigeration Units, but in-keeping with their “one step beyond” coda, the length of customisation doesn’t just extend to the outer portion of their products; their line of Integrated Units gives you a wide range of options regarding size, as well as freezer or fridge priority. For example, the ICBIT-30CIID is a combination fridge and freezer that stands at 762mm in width, and 2134mm in height, whereas the ICBIC-24FI is an all-Freezer column that stands at the same height, with a width of 610mm, and finally the ICBID-30RP, which is an all-Fridge drawer unit standing at the same width as the ICBIT-30CIID, but has a height of 876mm. This allows for almost complete customisation of your food preservation utilities, in a manner that is stylish, very forward thinking, and saves a heck of a lot of space in the process. As if that wasn’t amazing enough to begin with, Sub-Zero also apply that same level of choice and customisation to their Wine Storage selection, allowing those of us that like a good glass of something strong after a hard days work the choice between the thin-yet-tall ICBIW-18, the under counter ICB424G, and the free standing ICB424FSG. Sub-Zero’s absolute dedication to, and perfection of their craft make them a brand we are proud to include in our kitchen packages, and the sheer level of customisation they offer make them an obvious choice for consumers. While every model has their own, unique features, they all share the high quality features that set them apart from the competition. Sub-Zero carefully guards the freshness of food with dual refrigeration and other unique technologies. A Sub-Zero unit is more than just a refrigerator. it’s a food preservation system. Totally committed to quality and performance, they test each and ever unit before it leaves the factory. From switches and lights, to fans and the control board, every component must pass a performance inspection before they can continue to the production line. All of Sub-Zero’s bits and parts are also subjected to rigorous stress tests in extreme conditions. These ensures everything will function properly for the lifetime of the product. Sub-Zero even gives a final 18-hour battery of checks to one third of the units just for good measure. All of this is done with the goal of making Sub-Zero products last not just for years, but for decades. Thanks to all of this testing, you can be sure that when it comes to Sub-Zero, you will only get the best. Though Sub-Zero produces some of the highest quality items in the world, even the best can company or product can have the occasional flaw. That’s why Sub-Zero offers not only a two-year warranty, but also a Full five-year warranty on the internal systems. They also offer a warranty on parts from the 6th year through the 12th year. Finally, in the rare event that you have a problem with your product, or if you simply have questions, Sub-Zero has resources available to you via telephone, online, or showroom visits. Knowledgeable product specialists at the headquarters staff a 24/7 Customer Care call centre for their customers, meaning you can reach them any time and get a real person who knows what they are talking about to help you.